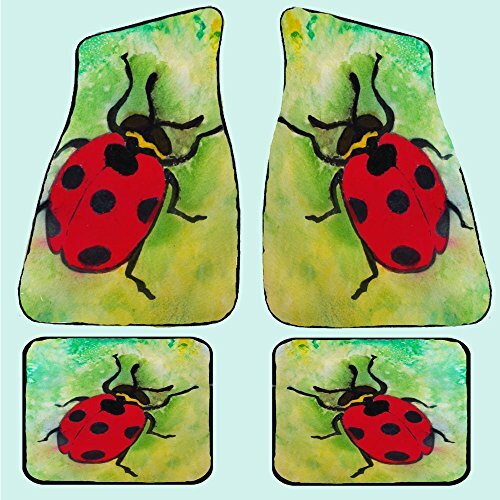 Lady Bug art Auto Car Floor Matsrom my original design, Front, 27" x 17"; 20 oz Loop, (set of 2) Rear 17 x 13 ( set of 2) from my artwork . Protect the interior of the vehicle and present a unique message to passengers. Durgan backed mats with black finished edges. Wash with gentle brush,soap and water. If you have any questions about this product by xmarc, contact us by completing and submitting the form below. If you are looking for a specif part number, please include it with your message.